Remember the old-time barber shop that Dad took you to when you were a kid? Every man remembers his first trip to the barber with his dad and maybe even his grand-dad. The red and white pole outside, the big leather chairs and maybe even a phone book, (remember those?) to sit on. Capistrano Barbershop, the Old Fashioned Barber Shop at 54 Maryland Avenue in Annapolis is owned and operated by Faraj Capistrano, a Master Barber, providing old world flavor and service of days gone by. 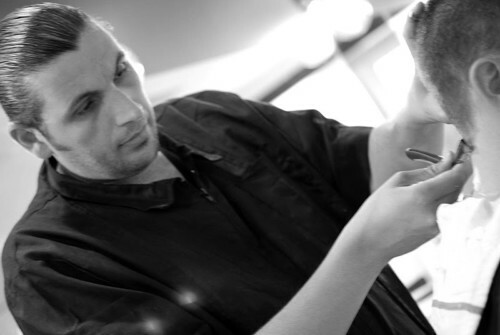 Capistrano’s barbers provide traditional and short hair cuts, as well as contemporary men’s hairstyles. You get the nostalgia of yesteryear with a modern twist! Not sure if an old fashioned barber shop is for you? Take a look at the resurgence of them and think again! Also, please visit them on Facebook!